The LV4 is our market leading, 4 channel, handheld LED controller with embedded radio. 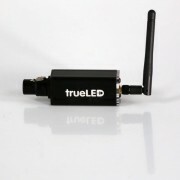 This product was developed following a client request to add W to the existing LV3’s RGB, giving RGBW control. It has since become sought after in the industry and we regularly develop additional custom modes for our clients’ specific requirements. With the capability for manual or remote setting our units are small, flat and discreet – easily hiding in costumes, or settings. Controlling LED strip at high frequency, they’ve been used for the likes of adding atmosphere to scenes and lighting up superhero and other costumes. Options and adjustments to the LED controller are screwdriver applied to ensure a flat, ‘invisible’ product. Modes 0-9 – 2 primary modes: manual or radio, along with a selection of other variations as required, e.g. bi-colour mode brightness and CCT modes. Manual – with adjustable brightness for each of the 4 RGBW channels when illuminating, tuning colour and brightness as a static controller is required. Radio control – with one click, switch to the in-built Lumen Radio, to take remote control of features from difficult to reach or moving locations. 8 further modes available – custom modes EMP Designs has created for clients include 16-bit mode for a finer resolution, 8-bit control but with a specified set percentage resolution, and RGB plus global to dim whole colour up and down. 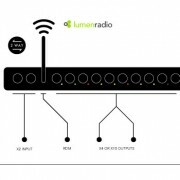 RDMX port – with light to show what the radio controller is doing/if radio is in use. 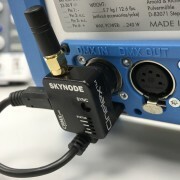 Sync button – clears memory and connects to radio desks. Analogs – 0 to 100%. 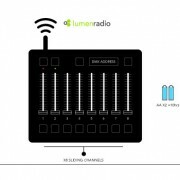 100s, 10s, 1s dials – to set the radio address for the DMX with 512 channels available. BO – option to black out / turn all outputs of. 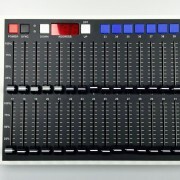 For more information on this LED controller or any other products or services, please contact us. 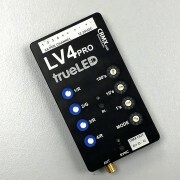 LV4 Pro handheld LED controller is here! All you need is Radio Dongle!